Stenographers are an excellent resource for any organisation. They record dictations with speed and get documents ready quickly. Their efficiency is important for the company as one does not need to wait a long time before the work is done. Many times letters have to be dispatched in a hurry and stenographers are there to get it done. It is a reasonably well paying career and if one has the right tools, there is always demand in the corporate world. If you want to be one, it is something that can be done provided you put your efforts into it. You must know about the shorthand systems and should be able to write in shorthand. This requires great skill and practice. Make sure that you practice well and hone your skills. There are numerous systems that are in place, search that which ones are generally being used in the industry and practice those more. This is the first step in being successful in finding a job. There are courses for stenographers and when one is advertised, you can join to learn the craft. This will further improve your skills and you will learn the craft on professional lines. Having a course under your belt will also be a good mark on your resume and can be a favourable addition for prospective employers. 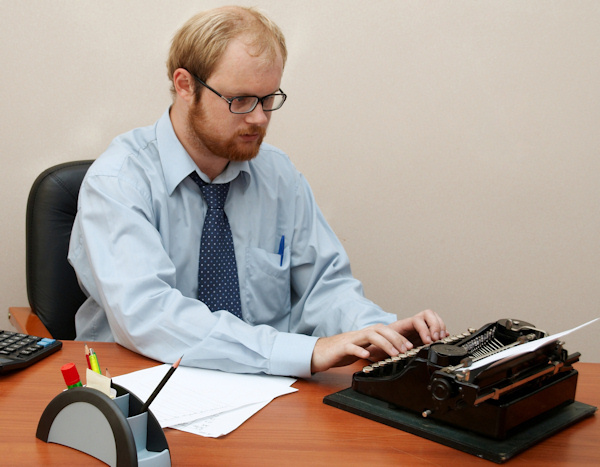 You can always do an internship as a stenographer to get going. You may not be paid or limited to helping the stenographer but you will learn many things from the practical experience. From the environment to the kind of pressure one faces, you will come across it all. Remember to work hard and try to impress your superiors as they might offer you a permanent position after the internship is over. Whenever a job comes, apply for it. Initially you may not get responses but with time, you should start getting interview calls. Make sure that you are well prepared and be confident in interviews. The confidence mainly comes from knowing the craft so make sure that you learn well. If you get a job that pays less than big companies in a smaller establishment, do take it. It will help you get much needed experience and will be a ladder for future success.